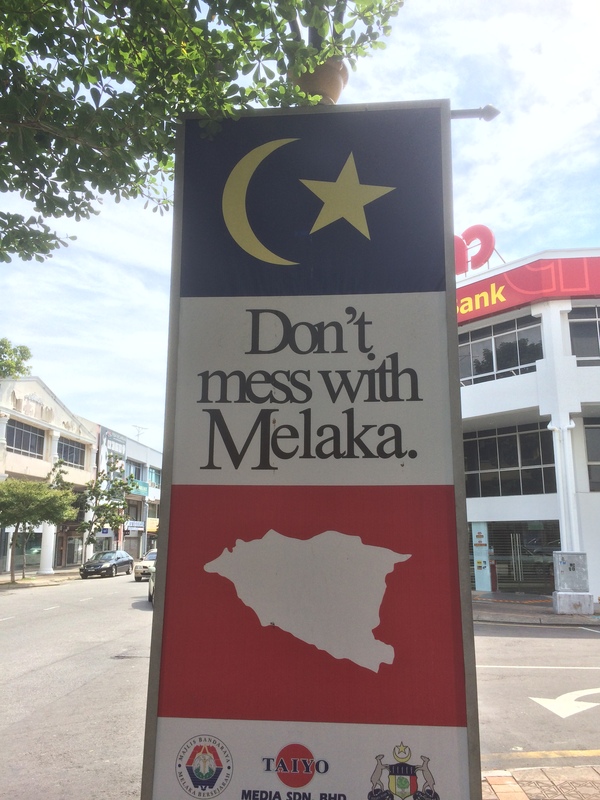 Yesterday I took a day trip from Kuala Lumpur to Malacca. I first visited in 2005, and things have changed. What then seemed like a pleasant little historic town has been aggressively developed for the tourist market. The development is still on-going: see this upcoming monstrosity. 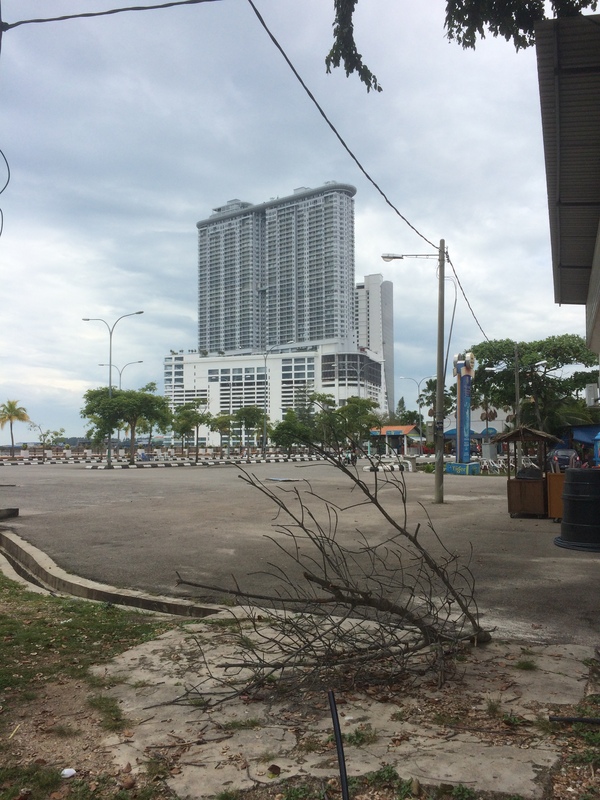 There are a number of enormous hotels and waterfront apartments still under construction, and the old neighborhood around Jonker Street and the river has been cleaned up and sanitized. More on this in a bit. 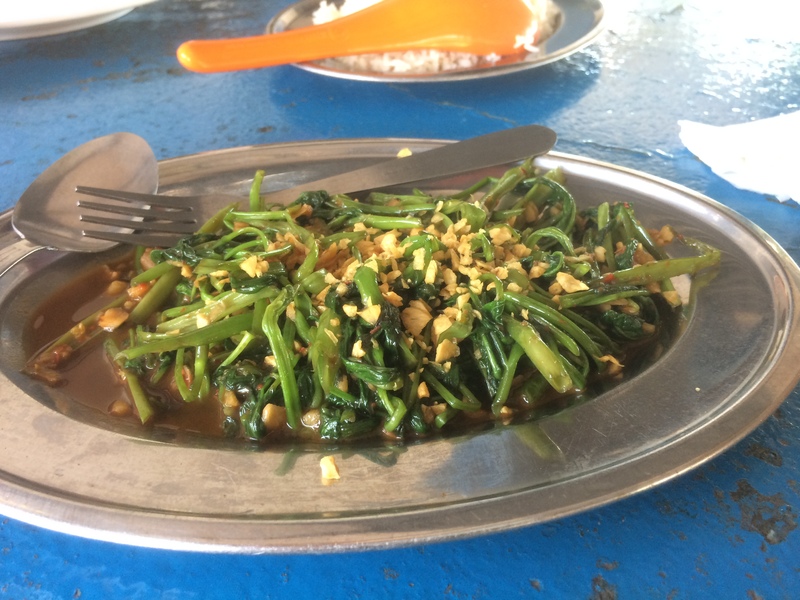 Last time we visited we enjoyed some lovely Peranakan food, but never ventured out of the main tourist area near Bukit St. Paul and Jonker Street. 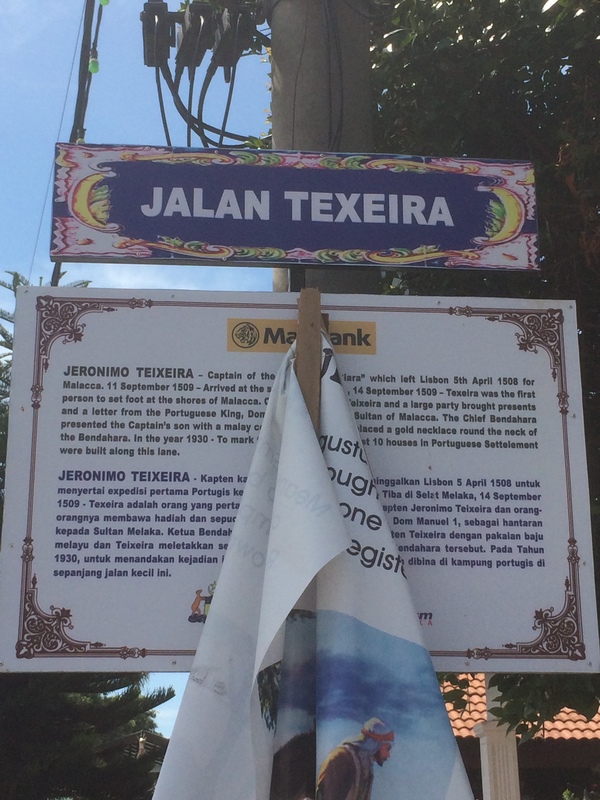 I wanted to see if I could find some real Malacca Portuguese food, and had heard about a little hawker center in the Kampung Portugis (Portuguese settlement) neighborhood. So I set off to find it. Along the way, one of the best things I’ve ever seen. It would have been better had they added “Remember Albuquerque!” but maybe that’s asking too much. Doing a full loop around the Hatten City project earned me my fair share of stares, but it did ensure—together with the midday sun at a balmy 88 degrees—that I was good and tired by the time I got there. The last bit of the walk was through a quiet residential area. 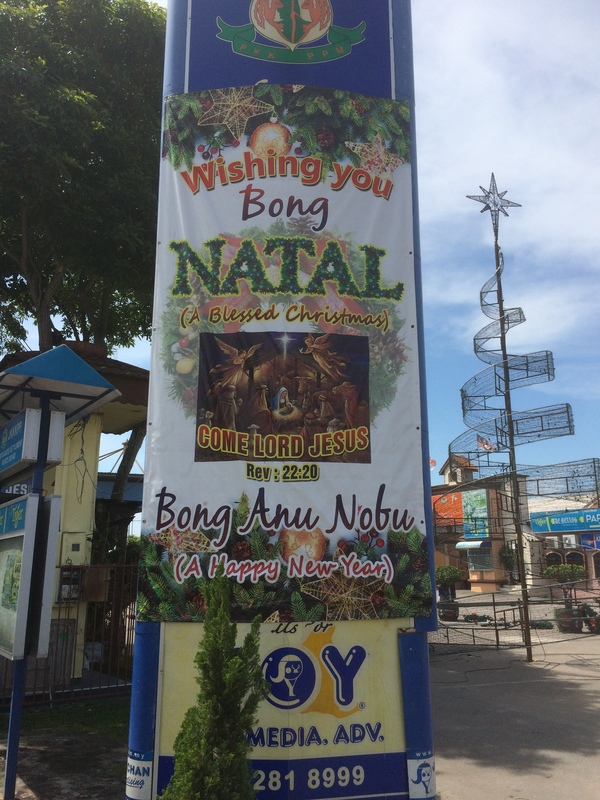 What had seemed like generic middle class Chinese bungalows quite abruptly changed to bungalows decorated with crucifixes and Merry Christmas signs. From there it was not far to the restaurant area. 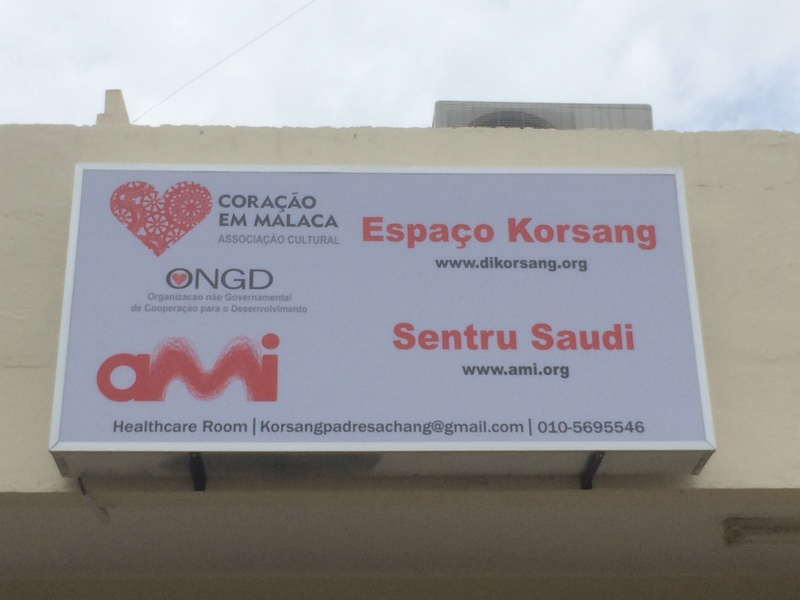 I especially appreciated the signage in papia kristang. Typical of such adventures, after walking for almost an hour in the hot sun, all of the restaurants were closed. Except, thankfully, for one. 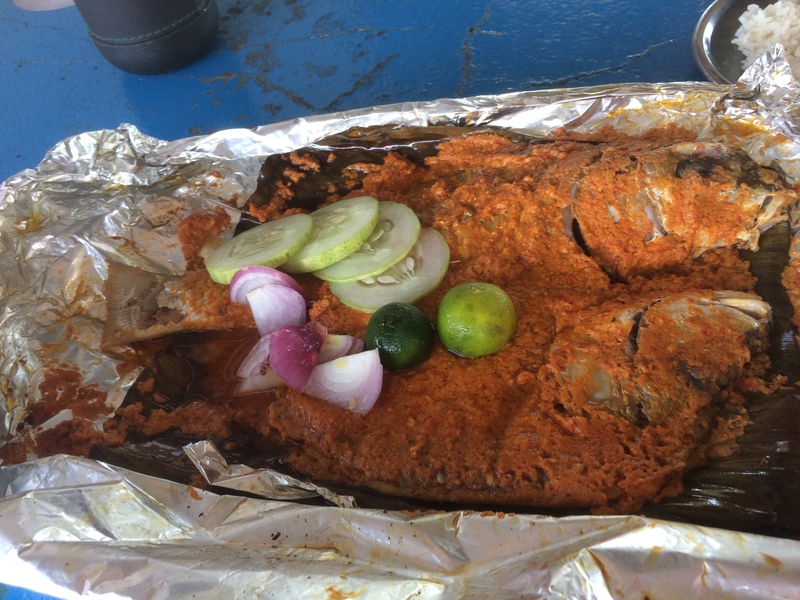 On the advice of the owner, I had spicy baked fish and kangkong belachan, which were both fantastic. I spent most of the rest of the afternoon wandering around the old Portuguese fort (called, as all Portuguese forts in tropical Asia seem to be called, “A Famosa”) and looking at old Dutch graves. 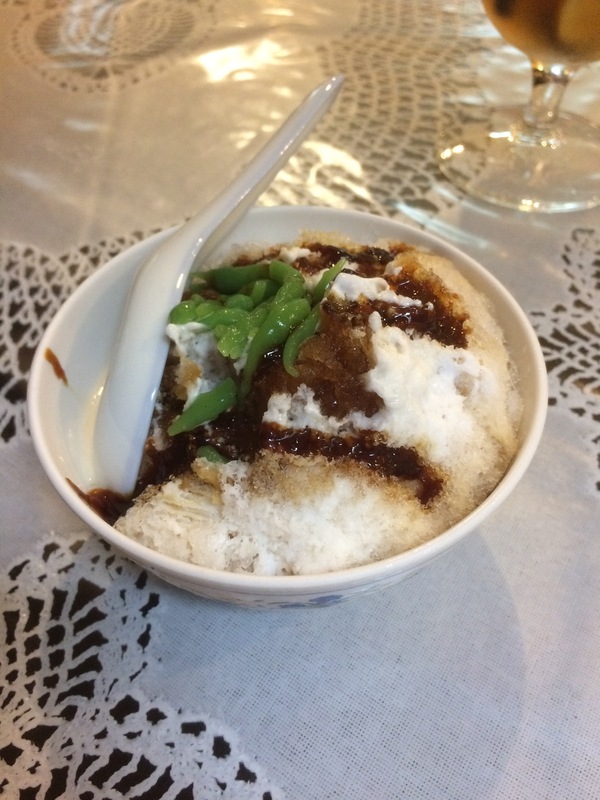 I concluded the afternoon with an ice cold cendol at a very attractive little cafe called Straits Affair. 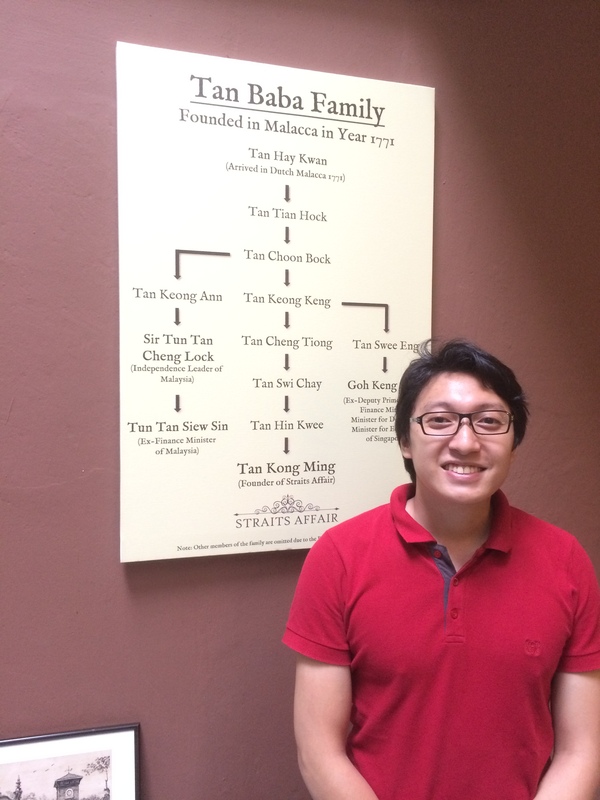 I had a very nice conversation with the proprietor Isaac Tan, an eighth-generation Peranakan Chinese who is part of the same illustrious family that gave us Tun Tan Cheng Lock and Tun Tan Siew Sin. 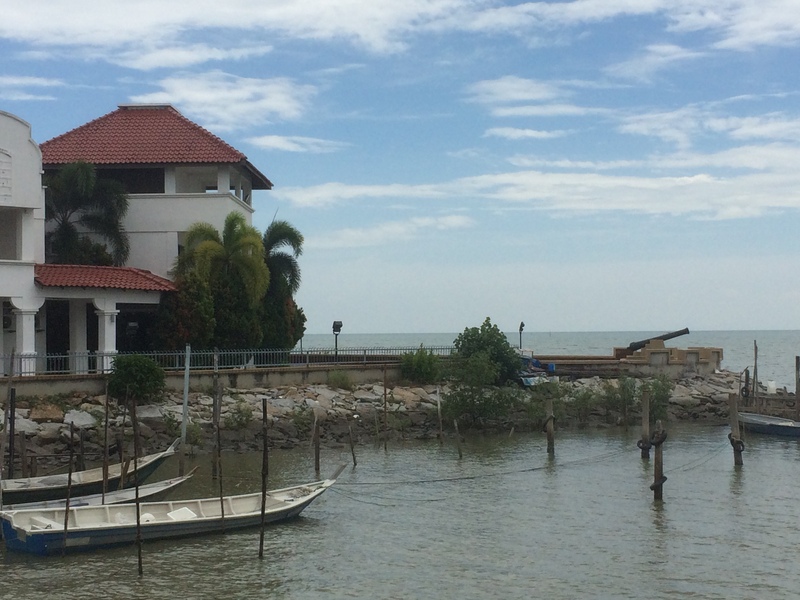 Tan views the new and booming tourist development around Malacca as having really affected the local communities, and his cafe celebrates the old Baba-Nyonya food culture. 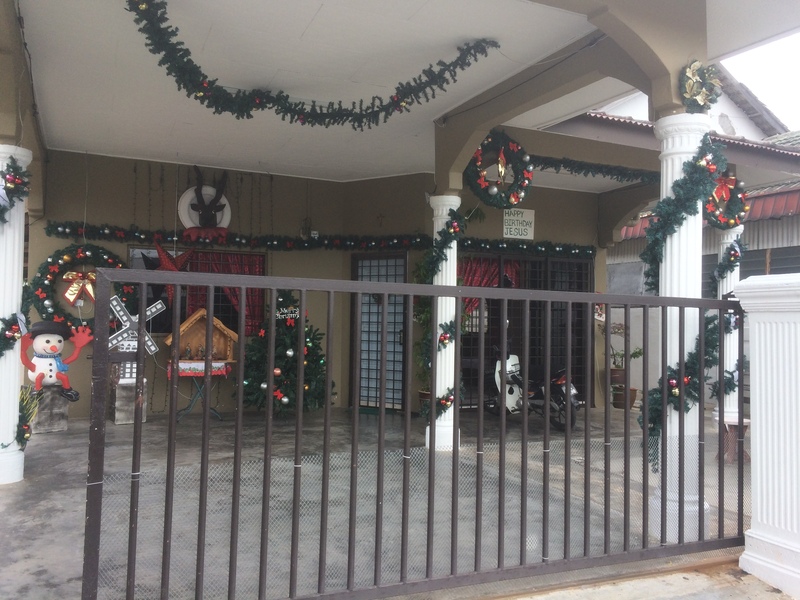 He relates how the neighborhood in which he grew up, near Jonker Street, is now no longer affordable for the people who had long lived there. 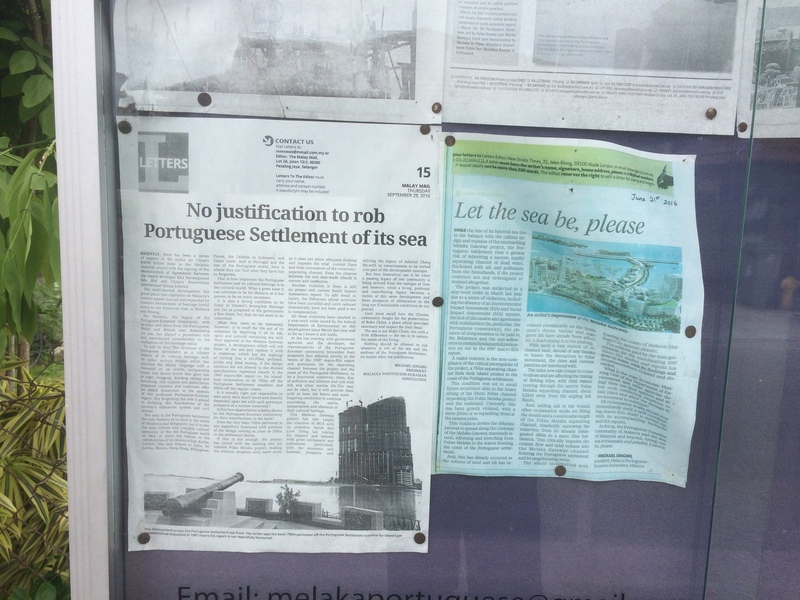 I saw similar signs in Kampung Portugis of local frustration with the new development. It would be interesting to learn more about the political economy of the new tourism development boom. Ahem.